This Angry Birds Easter Egg Craft is a fun activity for kids, and especially for fans of The Angry Birds movies and games! It’s a quick and easy craft using real eggs (or you could use foam ones) and staple craft supplies, and the free printable faces are included too. I’ve added this printable to my other Free Easter Printables. Angry Birds was one of the first games I ever played on a smart phone. In fact, I didn’t have my own and had to borrow my husband’s just to play the game! Since then, there have been a LOT more games featuring the Angry Birds, as well as a big screen movie, with a sequel due in the cinema soon! I have to confess to being somewhat of an Angry Birds fan, and have several of the games on my iPad, and I also thought the first film was so funny! I actually watched it twice on the same flight to Orlando because I enjoyed it so much. Yes, I’m one of those adults that loves cartoons! I’m looking forward to The Angry Birds Movie 2 which is due for release in the summer. To pay homage to these birds with anger issues, I’ve got this fun craft that would be perfect to make not only for Easter, but at any time of the year! This craft uses empty white egg shells. I’ve got a tutorial on how to blow out eggs for decorating which will explain everything – it’s simple when you know how. If you don’t want to use real egg shells, and if your kids want to play with the Angry Birds eggs after they have made them, it might be wiser to make these using foam eggs. The foam eggs can be tossed about without fear of cracking, and would become a fun live-action game of Angry Birds! This tutorial guides you through making two of the Angry Bird characters – Red, and Stella. Paint one egg red (Red), and one egg pink (Stella). Leave to dry. Paint the bottom third of Red with white – you may need more than one coat. Leave to dry. Paint a circular shape on the bottom third of Stella as shown in the pictures of her. Again, you may need more than one coat of paint. Leave to dry. 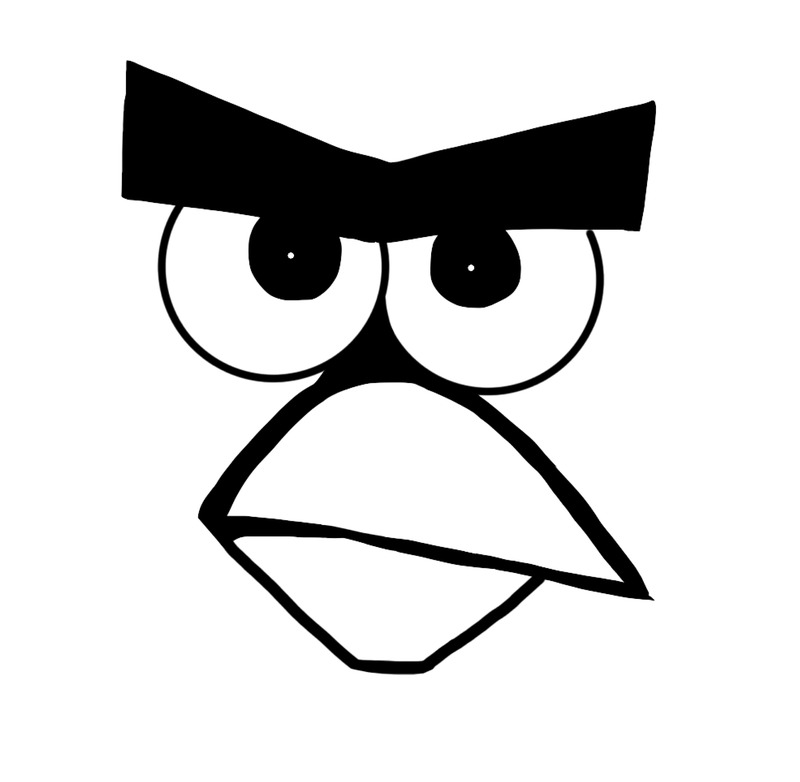 Download the Angry Birds face templates here. Colour in the beaks with a yellow marker, and cut out the pieces. 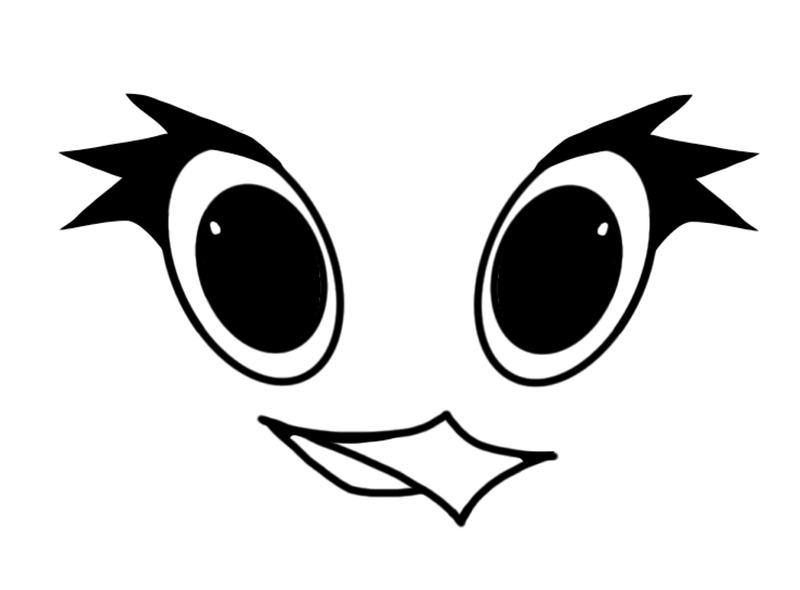 I’ve made the faces for an average sized egg, but if you are using smaller or larger eggs to make your angry birds here are the images of each face so that you can adjust the size to your specifications. If you open the image in a Word document (not sure of the equivalent on a Mac) you can double click the image to resize and put in the measurements to adjust as required. The links are below – they open in a new tab/window. Right click to save to your computer. Using the photos as a guide, glue the faces to the front of the eggs and leave to dry. With a black marker pen, draw on Stella’s eyebrows and feather tufts at the top of her head; and Red’s feather tufts at the top of his. Again, use the photos as a guide. Why not share this fun craft with your friends on Facebook! These should be made by an adult as a craft blade is used to cut the craft sticks. For kid friendly stands, cut a ½”/1cm high ring from a cardboard tube. Paint with any colour you like and leave to dry. Place eggs on top. Take three craft sticks and mark them as shown in the photo. The thin lines are where you cut the stick in half. The thicker lines are the notches to fit the stand together. Cut the sticks along the markings. You can use some sandpaper to smooth the cut ends. Join the three pieces of the sticks together to build the triangular stand for the eggs. And there we go – Angry Birds Easter Eggs complete! How fun was that?